Magnolia-Malden Neighbors Block Club has turned down the third proposal from developer Steve Sgouras for a lot that has been vacant over 50 years. 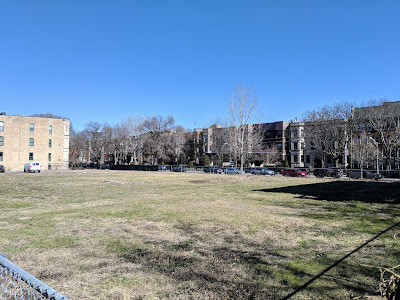 The proposal, which would require an upzone, included 45 three bedroom, 2 bath condos, one-to-one parking (minus one garden unit), and the all-important 30 foot Sheridan Park setback. This time, voting members voted it down by an ultra-slim margin of 5 votes, yet in the block club's letter to Alderman Cappleman, the vote is called a "clear majority." The final tally of votes was curiously not included in the letter to the alderman, but was sent out to residents who voted on the project in an email last night which was sent to Uptown Update. Block club members paid a $10 membership fee for the right to vote on the proposal, with a total of 31 members voting. Interesting to think that for 5 votes, or $50 worth of votes, a $10M project was turned down by a block club. Not a great voter turnout when you think that many of the buildings in the Magnolia Malden boundaries have more than 31 residents in a single building. 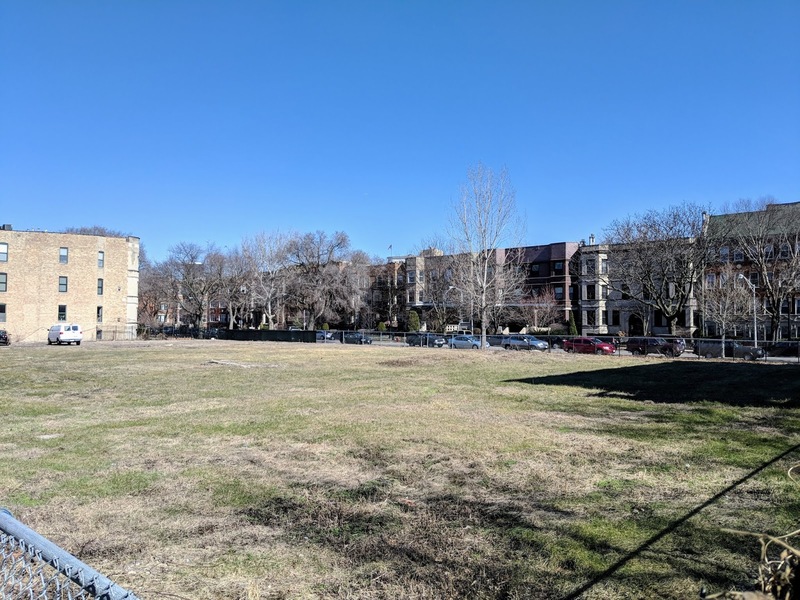 The project will still proceed to the 46th Ward Zoning & Development Committee with letters of support from Uptown United, Graceland Wilson Neighbors Association and Beacon Block Club, which shares an alley with the proposal. Those letters are now posted on Alderman Cappleman's website along with the letter from MM Neighbors stating a "clear majority" were against the upzone request. Is a 5 vote difference a clear majority? We trust that cooler heads will prevail at the next meeting. To add to your point. I'm a voting member and completely agree with your arguments here. "Clear Majority" is completely misleading. There are 38 total voting members. So 7 people didn't even vote. Extend the voting territory or let the Alderman do his job and approve this one. The people crying about their sunlight need to give up on that losing battle. We live in a city, none of us have sunlight. If you don't like it, move to the burbs. We need this development. I am in Sheridan Park and fully support but not in their block club. Hopefully the committee moves it forward. If I am this developer I would stop keeping this lot cleaned and trimmed, let people start dumping garbage on it, let some of the street campers start moving in. 50 years, vacant lot seriously people we are talking condos not even rentals. These small neighborhood groups making decisions on multimillion dollar projects is ridiculous. I couldn't agree more, to many people trying to play "important". I'm as quick to insult the NIMBY attitude as anyone, UU, but please don't scapegoat these neighbors. Only an alderperson can recommend to City Council that a variance be approved; this block club has no such authority. We had an alderperson who sought little to no input, and we switched that for one who seeks it from everyone. Everyone isn't going to agree in unanimity all the time, and difficult decisions get made. Blaming people for voting, when asked to do so, is counterproductive. In the end, the Alderman will do what he feels is best for the Ward. I don't really know how the process works in other wards, but on the 3rd proposal from the same developer at the same site, this is SOP in the 46th. This small group of neighbors is only wielding the power it has been granted. The former proposal was highly criticized by the City's Dept. of Planning & Development and the local block club. The developer made some major changes based on feedback and went back to the community. The Dept. of Planning recently asked for minor changes with some front bay windows and other than that, is satisfied with the current plans. Uptown United voted in favor of this project. Because this development is over $10M, it will then go before the entire 46th Ward Zoning & Development Committee, made up of around 40 different neighborhood organizations, community groups, and chambers for their vote. 25% of the ward's population have low incomes so 25% of the committee represent this group, with each group selecting their own representative to vote. This zoning committee reviews what the local block club and local chamber have to say and then after hearing from the developer, will vote. Sometimes the committee will make a decision that happens to agree with the local block club and sometimes they don't. Typically, there's often a lot of negotiations going back and forth, which I believe is very healthy and projects that do get passed are always much better afterwards. I like the process because while we obtain feedback from a diverse group of people, we don't get bogged down in a paralysis of analysis. Thanks for the clarification, Mr. Cappleman, particularly regarding Dept of Planning & Development concerns. From the outside looking in, it appears that public pearl-clutching is what forces developers to revise plans, and I'm heartened to hear that isn't the case.